While most Souls fans are digging into Dark Souls 3, there’s a passionate community of thousands who play the original game regularly. But if you’re on PC, Dark Souls been suspiciously quiet for the past week or so. 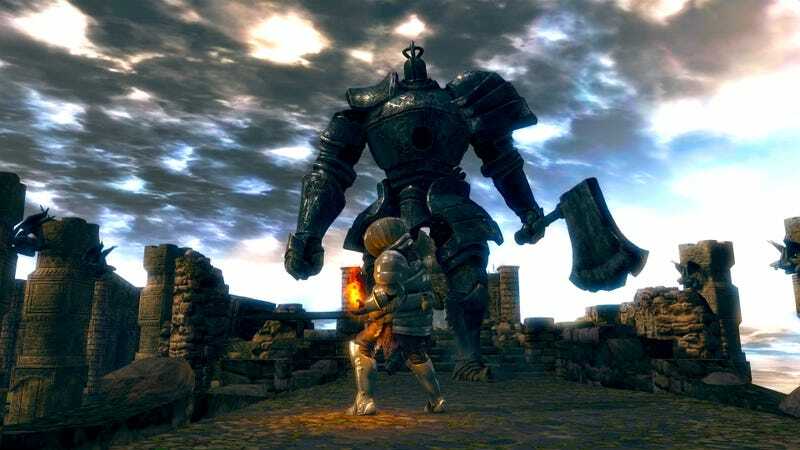 It’s possible to play Dark Souls on your own, but interacting with other players is a huge part of the experience for others, whether it’s to play co-op and take down the terrifying bosses or invade others and ruin their day. On Xbox 360 and PlayStation 3, everything’s trucking along, as though nothing’s changed since the game launched in 2011. It’s different on PC, where the game’s matchmaking functions haven’t worked for a week. “I really picked a bad time to start my first entry to the Dark Souls series,” said Jake12x on the game’s subreddit. This hasn’t simply borked matchmaking, though. The useful messages other players leave in the world, tiny rays of hope? Those are gone, too. Based on changes made to the game’s Steam DB profile, either From Software or Bandai Namco recently modified Dark Souls. That change, which involved an item called usemms, seems to have caused the recent issues. “I had nodes and went to get a snack, came back to about 12 ‘Failed to create session’ notifications that kept on coming,” wrote Wulf Hunter on Steam. Though Bandai Namco has not responded to my request for comment, a community manager recently acknowledged the issue. That was four days ago, though! As of today, the game’s still not working. I’ll bee keeping an eye on this. For now, be careful out there.